When I heard that Kingsman: The Golden Circle was announced, I was beyond excited. I loved the first film. However, the marketing team went on to simply ruin what was supposed to be a major reveal. Director Matthew Vaughn spoke out about it to IGN. I absolutely love the fact that Kingsman initiates you into the high octane level of intensity within the very opening scenes. There are so many scenes in this film that really try to be as epic as they can be. The car chase scene in this film is simply bananas, but a lot of credit has to go to the director. Director Matthew Vaughn did a wonderful job of putting forth some fancy camera work. There’s a number of crazy slow motion shots, mixed with fast paced action. Many of the fight scenes are visually appealing and fun to watch. One highlight of the camera work was how the director was able to hide many of his cut scenes within the fast/slow motion shots. This gave the allusion that some of the action stunts were all in one shot when in reality they weren’t. When it comes to the story, I certainly enjoyed just how much the previous film was directly connected to the sequel. There are a lot of call backs and references to people and situations that will catch you up to speed from the first Kingsman film. It was a really nice touch to include so much more humor in this film as well. You’ll probably notice that when you see the surprise celebrity guest role who has a couple funny bits. When it comes to the acting and characters, I thought Julian Moore was entertaining in her villainous role. It was very unconventional and she never missed a moment to be as evil as she could be. Staying consistent with the previous film’s tone, they created another villain from the first movie. Luckily, they made that villain have a unique trait like a classic Bond villain. All I could think of was Winter Soldier 2.0. I think the one actor that stood out the most was probably Pedro Pascal (plays “Whiskey”). He was absolutely one of my favorite characters, and Pascal continues to deliver yet again another solid performance overall. Loved that lasso work too. I hate it when I have to bring this up, but the marketing for this film failed a number of ways. First the trailer teases the return of a prominent character from the last film. Problem here is that the sequel tries to make this seem like a big reveal or surprise. Well now when you see it, it robs us of the actual effect the film apparently tried to bring forth. 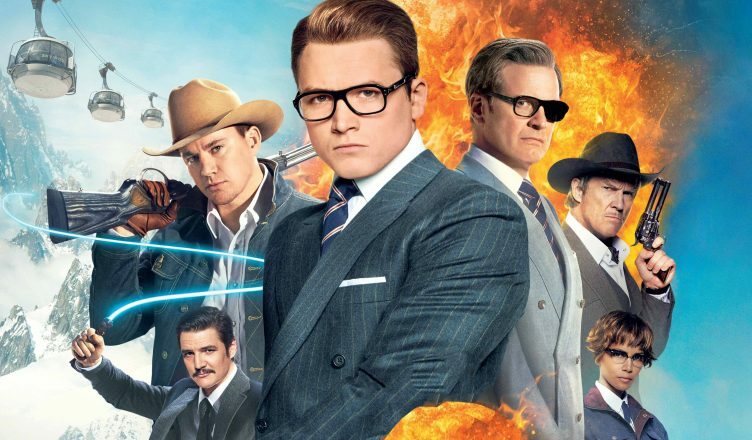 Kingsman: The Golden Circle does try to be load of fun, but it can be extremely over the top. The film is almost 2.5 hours long. Many of the scenes felt like blooper reels that could’ve been saved for the Blu-Ray DVD instead. A lot of the stunts are so unbelievable that it almost begs for an eye roll instead of a jaw drop. This isn’t just limited to the stunts either. Some of the explanations that are given for certain characters really push the “B.S.-O’Meter” too. If you were a fan of the previous Kingsman like I was, then it may be fair to say that this sequel didn’t win out. Kingsman 2 does raise a lot of stakes, and incorporated what worked in the previous movie. You could almost tell that this movie stopped taking itself so seriously and it almost becomes more of a comedy. Your viewing experience could easily be tainted due to the spoiler-filled marketing of this film. If I had to describe Kingsman: The Golden Circle, I’d probably say it’s a mix of the Fast and Furious 5-8 films and any James Bond film. Sadly, if you’ve realized how ridiculous the Fast and Furious movies have become, you’ll get a good sense of the direction Kingsman is apparently headed if more sequels are to come. 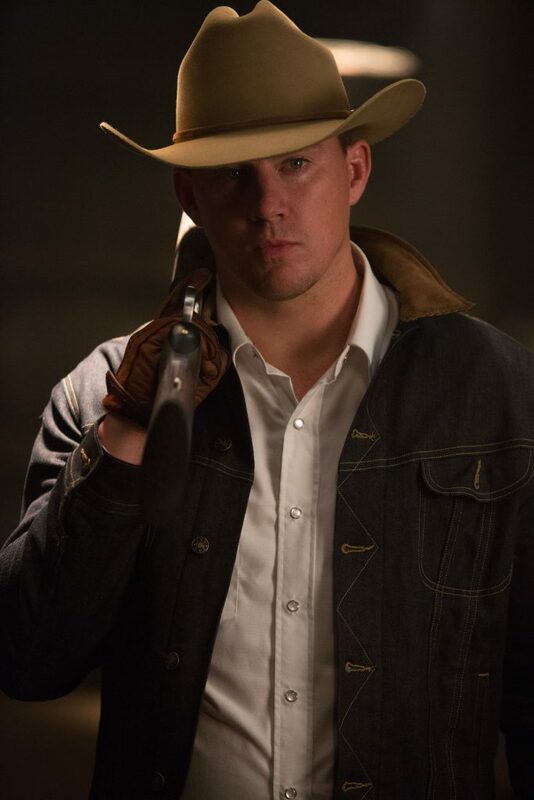 Despite all that, Kingsman was well worth the watch in theaters in my opinion. It’s a fun movie and pure entertainment. If you haven’t already, be sure to watch the previous movie first. Otherwise you’ll miss just about 45% of all the references and even some jokes. 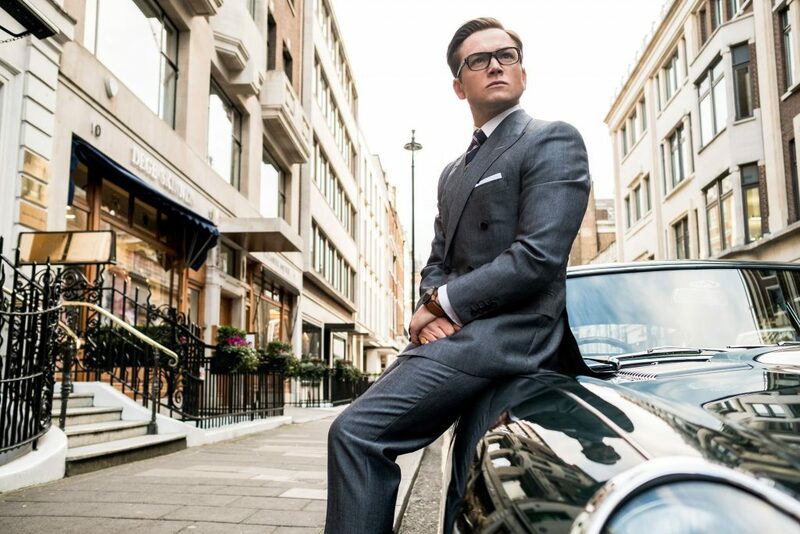 You can check out my review of Kingsman: The Secret Service here. See Kingsman: The Golden Circle in theaters now! Be sure to follow Eman’s Movie Reviews on Facebook, Subscribe on YouTube, or follow me on Twitter/IG @EmansReviews for even more movie news and reviews!